Sanjeev understands the issues faced by his clients as he has walked in their shoes. He has been a successful technology professional, entrepreneur and business leader managing teams that were culturally diverse and located in different geographic areas. His technology and engineering experience along with business knowhow in dealing with customers, suppliers and partners all around the globe when combined with knowledge of law makes Sanjeev a valuable advisor to entrepreneurs, professional managers and business owners. 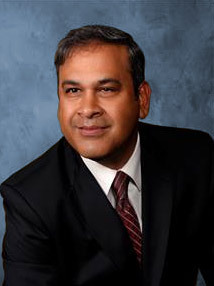 Sanjeev’s skillset enables him to balance the often conflicting business (risk taker) and legal (risk averse) forces and find optimal solutions for clients that avoid the common pitfalls in reaching the business goals while at the same time mitigate risks and are within the legal constraints imposed on such transactions. Sanjeev believes that there is no need to reinvent the wheel. He provides his clients not only sound legal advice but also insights in avoiding the pitfalls and costly mistakes that are easy to make when the client focus is limited to setting up a business, growing it or operating it. Sanjeev provides sound but candid input to clients and helps them in reaching the right decisions.